to make up over half of its total fleet of some 750 vehicles. The 400 Actros trucks are equipped with environment-friendly Euro-V technology and will be handed over to the customer up to January 2014. 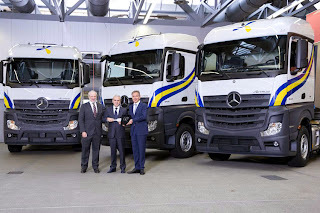 "We're proud that the Primafrio company has opted for our trucks in the largest purchase of vehicles in its history, thereby substantially increasing its overall share of Mercedes-Benz vehicles. 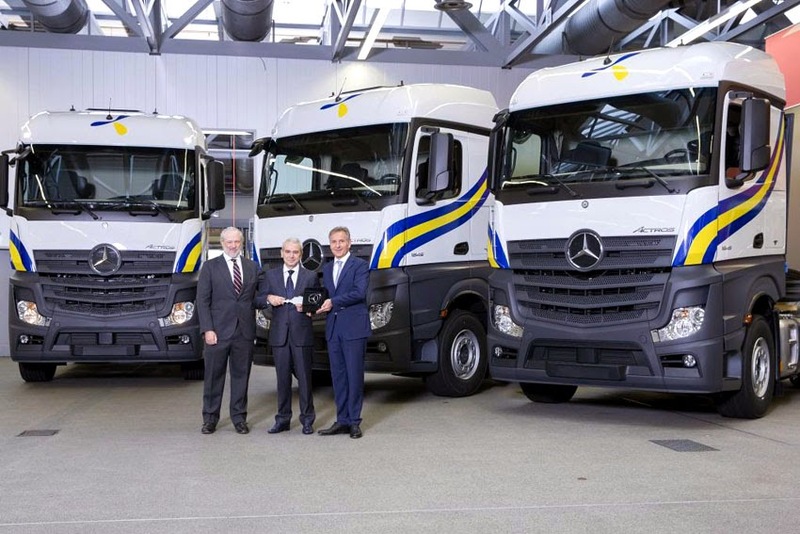 This means that the customer has been convinced of our products' merits in terms of quality, economy and reliability," said Stefan Buchner, Head of Mercedes-Benz Trucks. Jose Esteban Conesa, Owner of the Primafrio Transportation Company added, "Economy plays a crucial role for us as a logistics company. We have tested the Mercedes-Benz Actros successfully in our fleet. Decisive factors which persuaded us to opt for the Actros were the excellent fuel economy and the customer-oriented after-sales service."